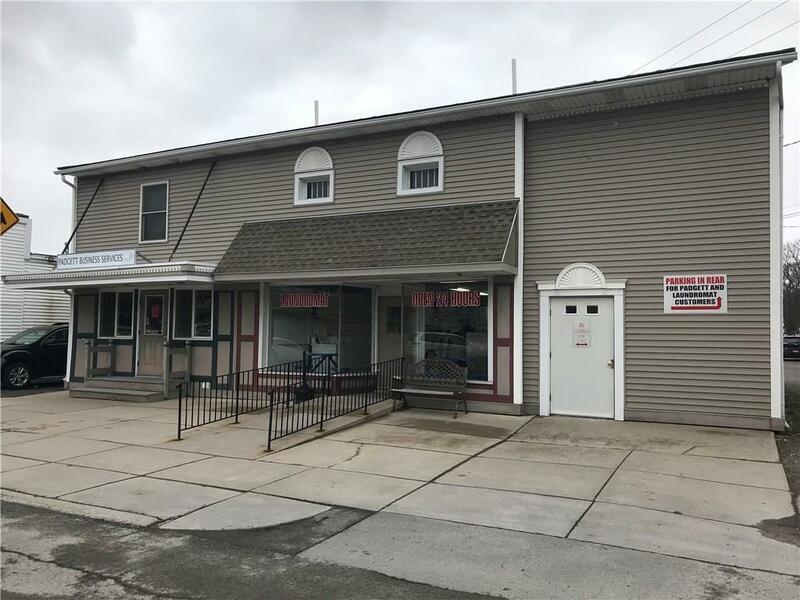 Great business opportunity located in the center of Village of Caledonia. 3 business units included in property which was completely renovated in 2003. Coin operated Laundromat with all equipment: 20 Washers, 15 dryers, 2 change machines, 1 soap machine, tables for folding. All LED lighting in laundry mat. Dedicated fuse boxes for machine zones.Ground floor office space currently rented. Upper floor office space &/or 1 bedroom apartment completely remodeled.